Elders of Sinai village where mosque was attacked were warned by ISIS to stop collaborating with security forces and suspend Sufi rituals. Elders of the village in Egypt's Sinai Peninsula where terrorists killed hundreds of people in a mosque on Friday had been warned by Islamic State (ISIS) operatives to stop collaborating with security forces and to suspend rituals associated with Islam's mystical Sufi movement, security officials and residents said Sunday, according to The Associated Press. The latest warning came as recently as a week ago, telling villagers in Al-Rawdah not to hold Sufi rituals on November 29-30 to commemorate the birth of the Prophet Muhammad, according to residents and the officials who work for security and military intelligence agencies operating in Sinai. Local ISIS operatives consider Sufis to be heretics who should be killed. At least 305 people were killed in Friday’s attack on the Sufi mosque, located near the city of El-Arish in the northern Sinai Peninsula. In the attack, terrorists set off a bomb near the mosque, then began shooting at those who fled the scene. Local media claimed the attack was a suicide attack. Mohammed Ibrahim, a university student from the village, said terrorists had warned residents a few days before Friday's attack not to collaborate with security forces. The warning, he told AP by telephone Sunday from the nearby town of Bir al-Abd, followed the detention three weeks ago by villagers of three suspected terrorists who were handed over to security forces. The terrorists also distributed leaflets several times ordering villagers not to cooperate with security forces and to abandon Sufism, he said. Another Al-Rawdah resident, Mohammed Darwish, 30, said terrorists stormed the home of village tribal leader Sheikh Hussein al-Jerirr twice this year. "They threatened him not to hold Sufi gatherings, and last week, they came on motorbikes and asked residents not to participate in Sufi rituals," Darwish told AP. Last month, ISIS claimed an attack in northern Sinai which claimed the lives of six Egyptian soldiers. 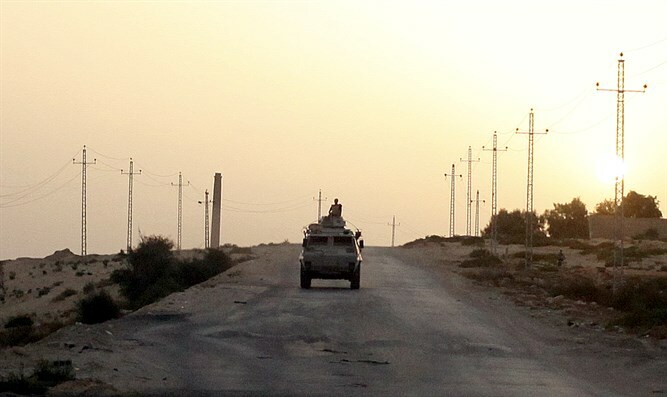 In September, ISIS killed 18 people in an attack on a security convoy in Egypt's North Sinai. In the past year, ISIS terrorists have bombed churches in the capital of Cairo and other cities, killing dozens of Coptic Christians. The bloodshed at the Al-Rawdah mosque was the first major attack on a Muslim congregation, noted AP. ISIS jihadists have targeted Sufis before. Last year, they beheaded a leading Sufi religious figure, Sheikh Suleiman Abu Heraz, who was believed to be over 90 years old. They posted photos of the killing online. Islamic State propaganda often denounces Sufis, noted AP. In the January edition of an ISIS online magazine, a figure purporting to be a high-level official in the group's Sinai affiliate vowed to target Sufis, accusing them of idolatry and heretical "innovation" in religion, warning that the group will "not permit (their) presence" in Sinai or Egypt. Perhaps as many as 15 million Egyptians belong to Sufi orders, which hold sessions with chanting, poetry readings and ritual dancing meant to draw the faithful closer to God. Sufis also revere the tombs of holy men. Islamic hard-liners view such practices as improper, even heretical.